Last few badges & yellow keyrings available! Our badges and yellow album cover key rings have almost sold out! 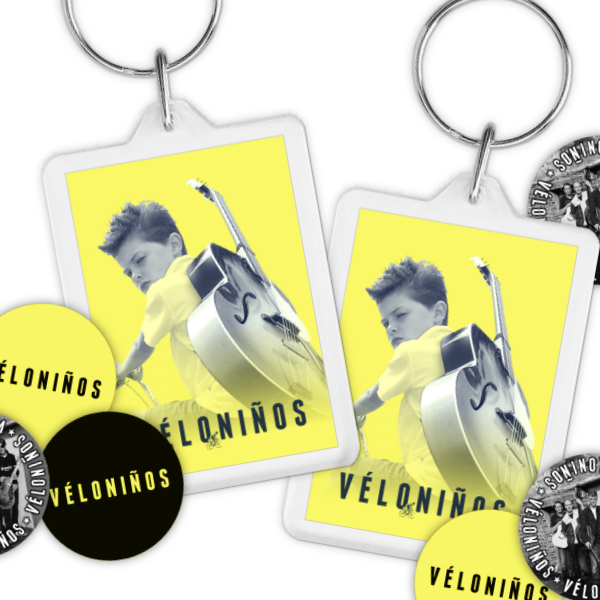 All of our badges come in packs of three – including one badge featuring a photo of us and two badges featuring our logo – and our yellow keyrings are clear acrylic with a printed card insert displaying our album cover on one side and logo on the other.